This piece was written more than a week ago. As unfortunatly the issue have been proven to be of current interest it is published here to contribute to the current discussion aiming at avoiding unnecessary escalations on all sides to promote political solutions. people in common on this issue. gravity of the issue and divisive governments. promoting the picture of violent protesters which should be demonized. critical left and ecological groups have emerged. protest groups thus opening up for more wide spread repression. getting nurtured by the political culture they did not know they visited. protesters while mass media was as full of anticipated violence as now. the same criteria for assessing the possible repression this time as well. police used live ammunition almost killing one of the protesters on purpose. changing politics by different activities. circus of anarchists seeking violence. campaigning for the police version of what happened. In Denmark two political opposition parties in parliament did the opposite. that they would take it away once in power. is supporting the demonstration on December 12 as all the left-wing parties. as the dialogue and active involvement can be geared up. own police force supported by the media. domestic populist goals more than in the run-up to the EU Summit in 2002. Climate summit to much is at stake for the political reputation of Denmark. Other countries from the whole world are watching. Denmark cannot live up to the democratic right of every voice to be heard. other actors including governments inside the negotiations. both the way the police acts and possible limitations. 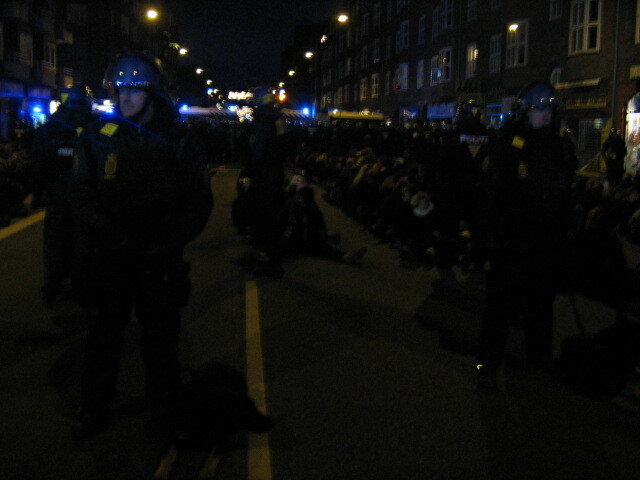 The many reports that Danish police is not to be trusted are worrisome. policemen and than got caught. immediate deportation if they by chance are caught in some police raid.